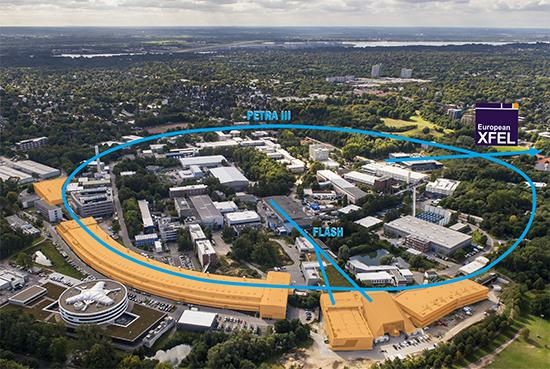 At DESY synchrotron radiation emitted from electrons in the PETRA III storage ring (user operation started in 2010), and in the free-electron laser FLASH is used for fundamental and applied research. The 2nd generation storage ring DORIS III was shut down in October 2012 after 38 years of successful operation. The European XFEL, is being planned by the European XFEL company in cooperation with European Partners, as a unique X-ray source. Together with international partners, DESY is constructing the heart of the X-ray laser - the superconducting accelerator. 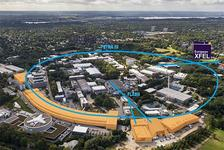 After its completion, DESY will take over the operation of the accelerator on behalf of the European XFEL GmbH.